Lot # 115: 100% Complete 1961 Topps PSA Registered Basic Set – All 587 Subjects PSA Encapsulated with a Spectacular 7.45 Weighted G.P.A! 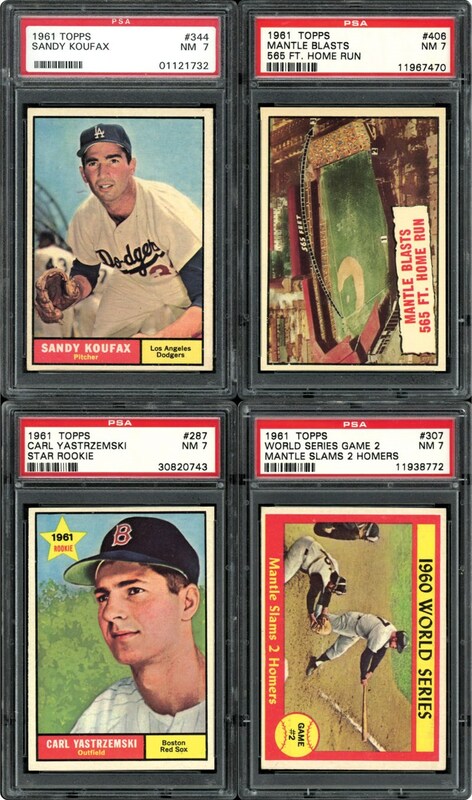 100% Complete 1961 Topps PSA Registered Basic Set – All 587 Subjects PSA Encapsulated with a Spectacular 7.45 Weighted G.P.A! Click here for PSA Registry information on this set. 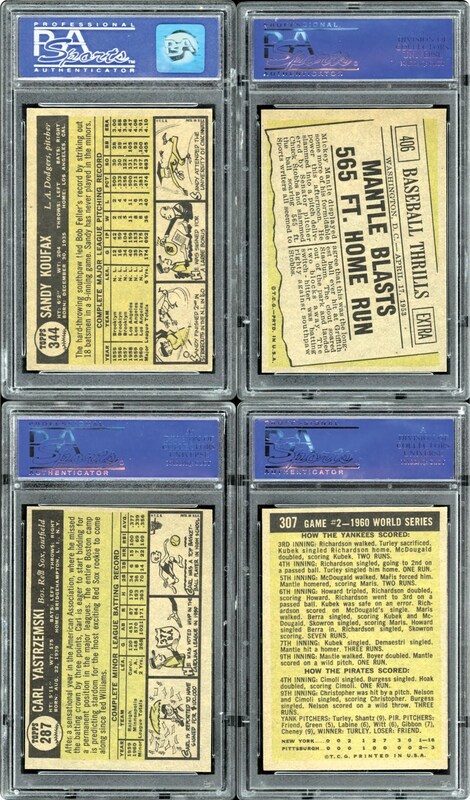 Commencing in 1951 and after issuing their landmark 1952 set, the Topps Bubble Gum Company instituted an indelible mark on the post-War card market. 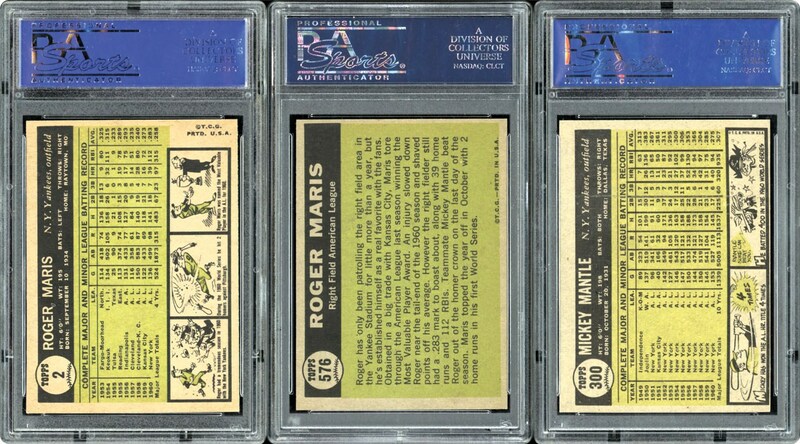 With the country emotionally removed from both World War II and the Korean War, baseball once again renewed its popular standing as our National Pastime, with thousands of avid young fans storming their local candy stores in an effort to seize their baseball heroes depicted on bubble gum cards. 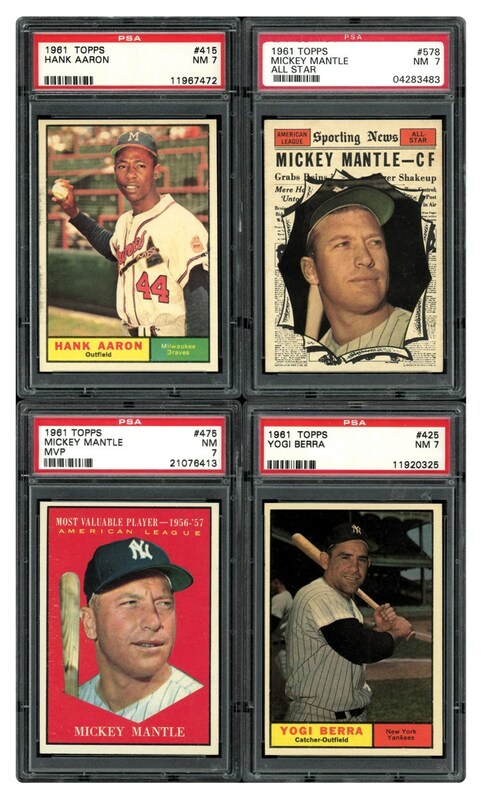 Year after year, the iconic company would produce the hobby's foremost sets with their 587-subject 1961 issue one of the hobby's highly coveted gatherings. 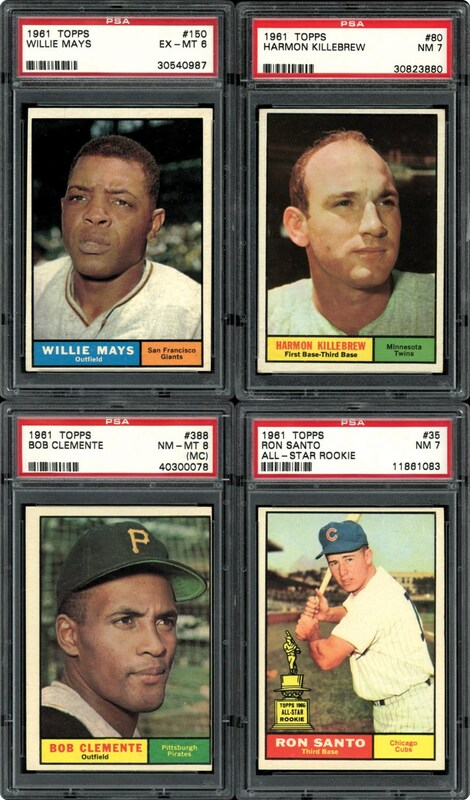 The 1961 Topps cards would return to a vertical format (w/the exception of some specialty cards) as well as full career statistics and include some innovative "sub-sets" such as Statistical Leaders; MVP's; and "Baseball Thrills" with the latter depicting some of our National Pastime's by-gone immortals such as Ruth and Gehrig. 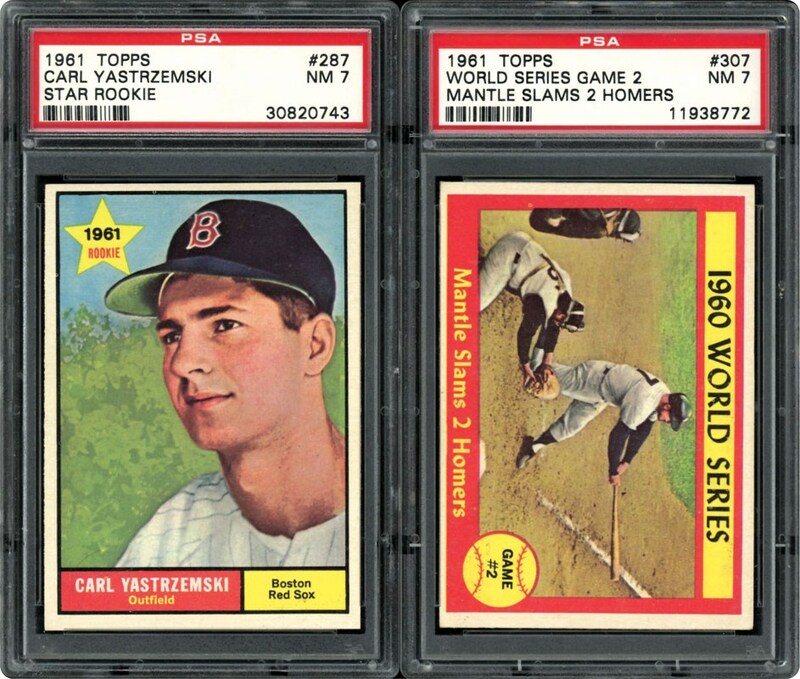 An additional interesting note is that while the 1961 Topps "Basic Set" is 587 subjects, the final checklist # is 589 (Warren Spahn) because checklist #'s 587 and 588 were never issued. 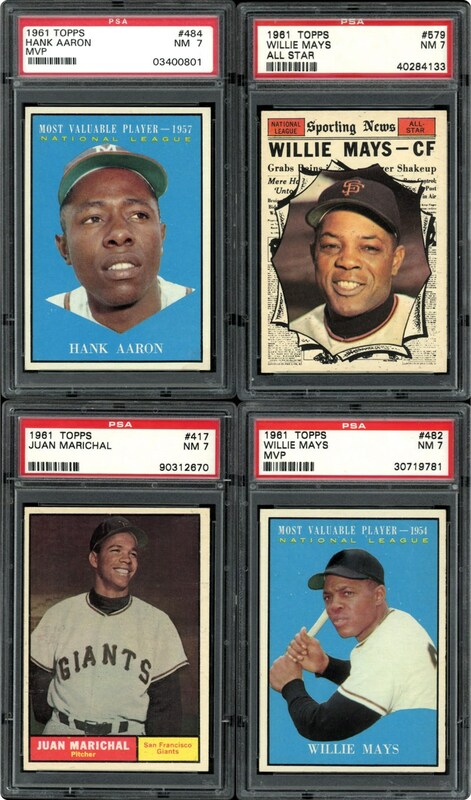 Presented here just happens to be one of the hobby's spectacular 1961 Basic Sets, a 100% Complete 587-subject compilation with all of the card's PSA encapsulated and posting an imposing 7.45 Weighted G.P.A! 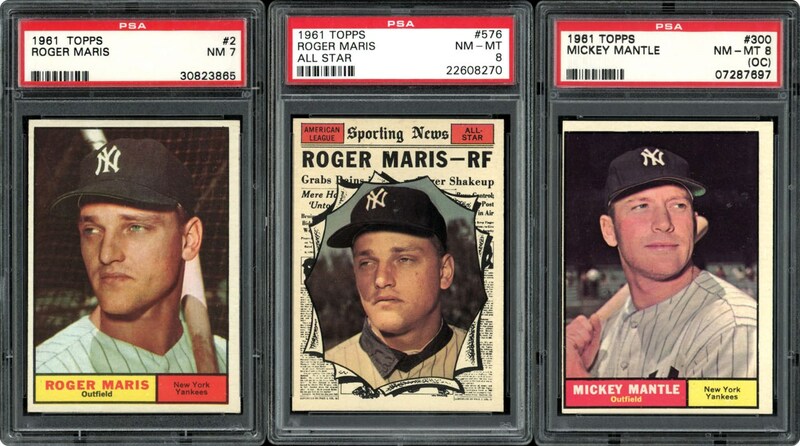 This magnificent gathering is currently listed on the PSA Set Registry as "TOPPS 1961 RBJ". 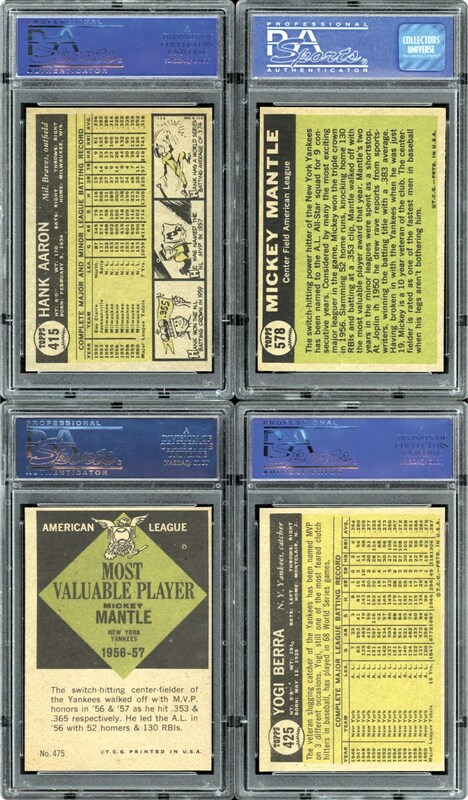 As is the case with virtually all of the post WWII sets, the most valuable subject is Mickey Mantle with the 1961 Topps set including FIVE different subjects of "The Mick" (#300, #307, #406, #475, #578). 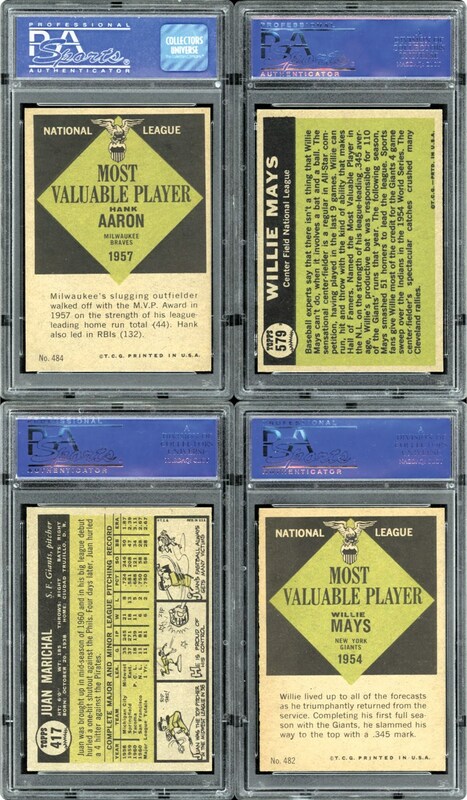 Further delighting hobbyists are the THREE different subjects for both Aaron and Mays as well as the "Baseball Thrills" cards of our National Pastimes by-gone heroes such as Ruth, Gehrig, Mathewson, Johnson, Hornsby and Chesbro. 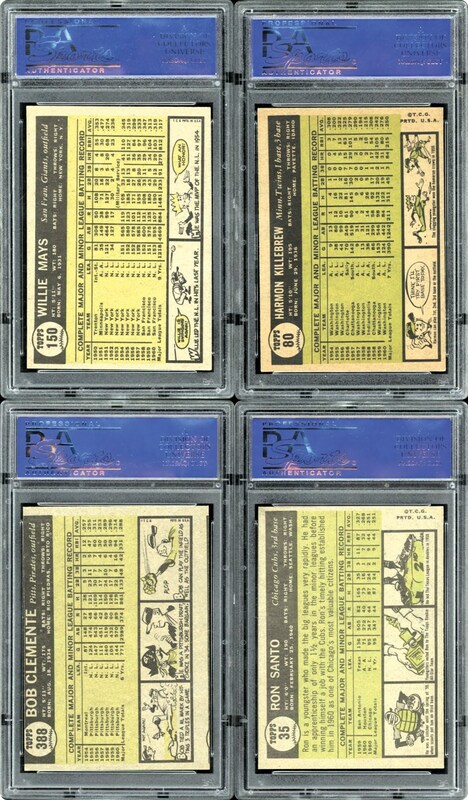 A simply amazing 100% complete PSA Graded collection, its seemingly infinite array of baseball immortals, brilliant aesthetics and 7.45 Weighted GPA all combine to place it as a significantly advanced 1961 gathering. 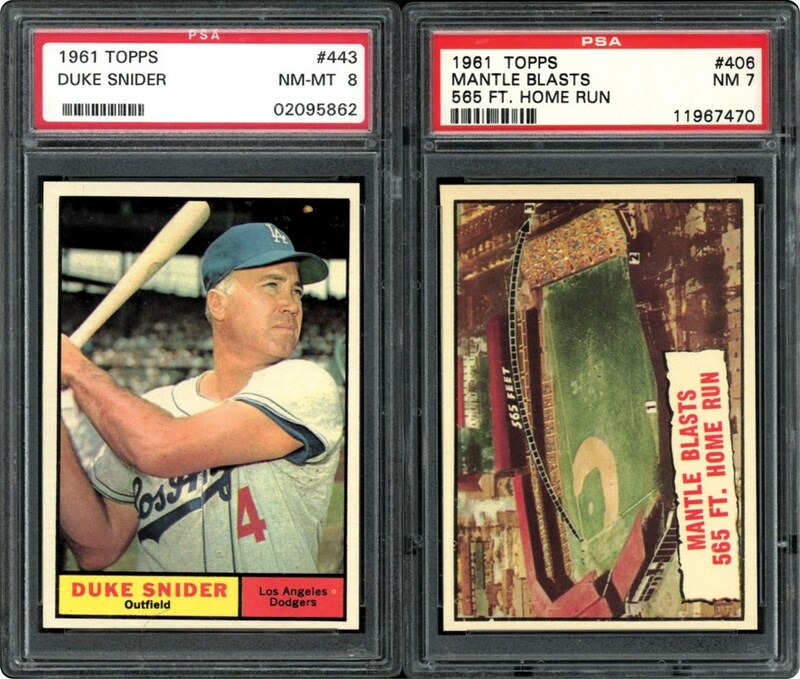 As previously stated, the Memory Lane website provides a direct link to view this entire set (titled "TOPPS 1961 RBJ") and its respective grades/population figures on the PSA Set Registry.